Passport travel document photo camera sunglasses globe map, top view. 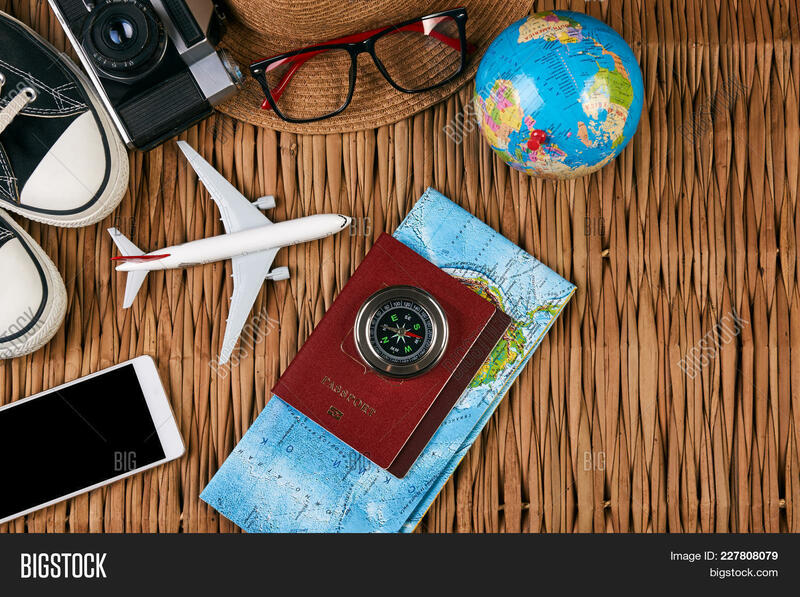 Summer vacation, travel, tourism and objects concept. 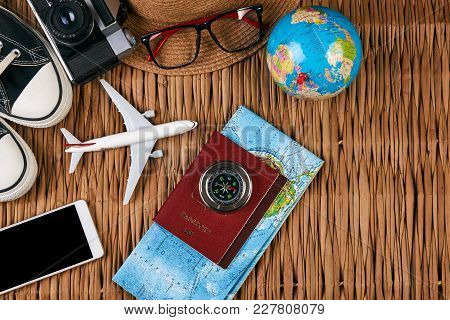 Traveler items vacation travel accessories holiday long weekend day concept.